устройство левожелудочкового обхода, насос непрерывного потока, математическая модель, хроническая сердечная недостаточность, двухэтапная пересадка сердца. 1. World health statistics / World Health Organisation. 2012. 2. Kakorina E.P., Mihailova L.A., Ogryzko E.V., Kantee- va A.N., Kadulina N.A. Morbility in Russia in 2011 year / Ministry of c Health, Russia (in rus). 3. Shalnova S.A., Konradi A.O., Karpov U.A. Konceva- ya A.V., Deev A.D., Kapustina A.V., Hudyakov M.B., Shlyahto E.V., Boycov S.A. Cardiovascular mortality in 12 Russian Federation regions – participants of the «Car- diovascular Disease Epidemiology in Russian Regions» study. Russian cardiologic magazine. 2012; 5 (97): 6–11 (in rus). 4. Itkin G.P., Shohina E.G., Shemakin S.U., Popcov V.N., Goti- er S.V. Feature of Long-Term Mechanical Circulatory Sup- port with Continous-Flow Pump. Vestnik of transplantology and artificial organs. 2012; 2: 110–116 (in rus). 5. Shumakov V.I., Itkin G.P., Romanov O.V., Vashur- kin D.V., Konysheva E.G., Nesterov V.A., Kulikov N.I., Kuzmin S.P., Dozorov K.N. Contemporary issues of me- chanical circulatory support. Mechatronics, automation, control. 2007; 8: 34–40 (in rus). 6. Shumakov V.I., Tolpekin V.E. Shumakov D.V. Artificial heart and mechanical circulatory support. Moscow, Yan- us-K, 2003: 376 (in rus). 7. James K. Kirklin, MD, a David C. Naftel, PhD, a Ro- bert L. Kormos. Fifth INTERMACS annual report: Risk factor analysis from more than 6,000 mechanical circu- latory support patientsс. The Journal of Heart and Lung Transplantation. 2013: 141–156. 8. 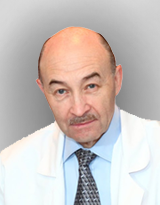 Grigoryan R.D. Mathematiacal model of human cardi- ovascular system. Biological, medical cybernetics bio- nics. Kiev, 1984; 2: 34–38 (in rus). 9. Parashin V.B., Itkin G.P. Biomechanics of circulatory system. Study guide. Bauman Moscow State Technical University, 2005: 223 (in rus). 10. Surkov D.A. Development of models, methods, algo- rithms, software and hardware system for provision a mechanical circulatory support system. Dissertation 05.13.01, 14.00.41. М., 2006: 149. 11. Defares J.G., Osborn J.J., Hara U.U. Theoretical syn- thesis of the cardiovasc. system. Acta Physiol. Pharma- col. 1963; 12 (3): 189–265. 12. Erika D. Feller, Erik N. Sorensen, Michel Haddad, Ri- chard N. Pierson, Frances L. Johnson, James M. Brown, Bartley P. Griffith. Clinical outcomes are similar in pulsa- tile and nonpulsatile left ventricular assist device recipi- ents. Ann. Thorac. Surg. 2007; 83 (3): 1082–1088. 13. Jeffrey R. Gohean, Mitchell J. George, Thomas D. Pate. Verification of a Computational Cardiovascular System Model Comparing the Hemodynamics of a Continuous Flow to a Synchronous Valveless Pulsatile Flow Left Ventricular Assist Device. ASAIO Journal. 2013: 107– 123. 14. John R., Kamdar F., Liao K., Colvin-Adams M., Boyle A., Joyce L. Improved survival and decreasing incidence of adverse events with the HeartMate II left ventricular as- sist device as bridge-totransplant therapy. Ann. Thorac. Surg. 2008; 86: 1227–1234; discussion 34–35. 15. Longya Xu, Minghua Fu. Computer Modeling of Inter- actions of an Electric Motor, Circulatory System, and Rotary Blood Pump. ASAIO Journal. 2000: 604–611. 16. Patel N.D., Weiss E.S., Schaffer J., Ullrich S.L., Ri- vard D.C., Shah A.S., Russell S.D., Conte J.V. Right Heart Dysfunction After Left Ventricular Assist Device Implantation: A Comparison of the Pulsatile HeartMate I and Axial-Flow HeartMate II Devices. Ann. Thorac. Surg. 2008; 86: 832–840. 17. Roston S. Mathematical formulation of cardiovascular dynamics by use of the Laplas transform. Bull. Math. Biophys. 1959; 21: 1–11. 18. Slaughter M.S., Rogers J.G., Milano C.A., Russell S.D., Conte J.V., Feldman D., Sun B., Tatooles A.J., Delga- do R.M. 3rd, Long J.W., Wozniak T.C., Ghumman W., Farrar D.J., Frazier O.H. HeartMate II Investiga- tors. Advanced heart failure treated with continuous- flow left ventricular assist device. N. Engl. J. Med. 2009; 361: 2241–2251.